The last month has just flown by. With the tropical storm that hit the east coast, the presidential election and the holidays, it’s gone by so quickly! But before the start of these busy last few weeks, we celebrated a quiet Dashain. This was my sixth Dashain. I can’t believe it’s already been six years since I met Tri and started to get to know the Nepali community. The first year I celebrated, we didn’t have a traditional celebration, but I did go to a Dashain party on campus. The next year was pretty much the same. 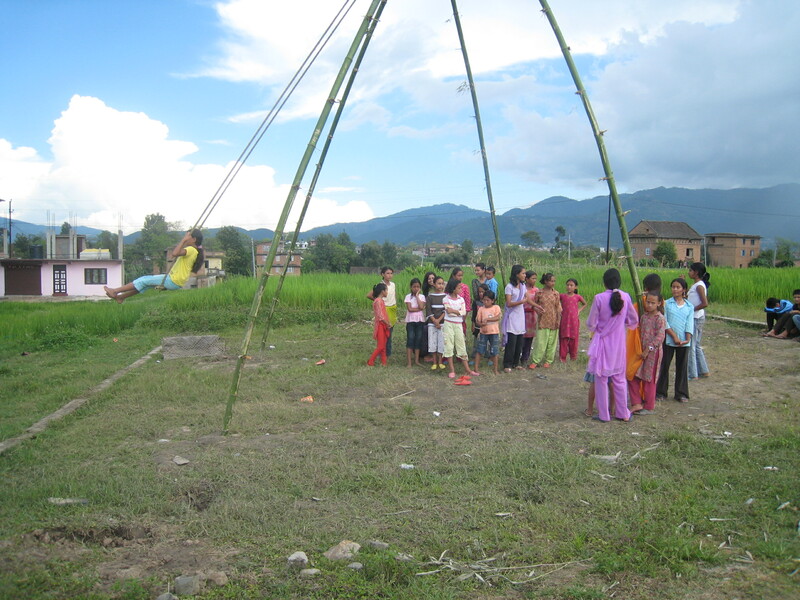 Dashain didn’t take on much meaning for me until I studied abroad. One of my most memorable experiences with Dashain involves watching my host family slaughter a goat while I was abroad. I wrote a little bit about it here. I had never seen an animal killed before, especially not with a knife, and I wasn’t particularly pleased about watching the goat die, but I guess it was kind of educational. Although the extensive meat eating isn’t my favorite thing about Dashain, one of the things I’ve always loved are the blessings. Older people give younger people tika and often money or presents. I’ve always liked getting and giving tika because it’s a nice way to connect with others. The games are fun too. Card games for adults and kite flying and swings for the kids. In Nepal, Dasain is celebrated over the course of 15 days (with certain days being more important than others), but in the US, a lot of families do most of their celebrating on one day. For the main tika day this year, Tri and I went over to a family friend’s house to get tika, have delicious food, and play games. 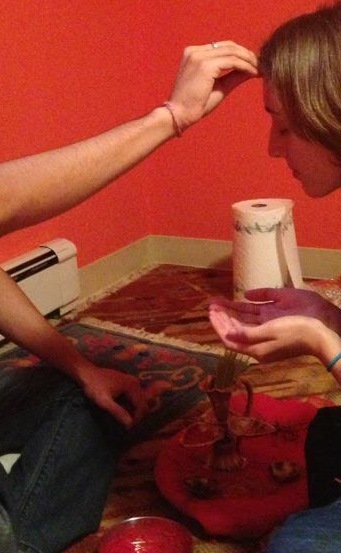 Since I still haven’t learned how to play Nepali card games, I stuck to the simpler game – lungur burja. There are six different symbols on the board game. The dealer has three dice, and when he rolls them, if the picture on one of his die matches the picture that you put your piece on, you get your points doubled. Although Tri and I have celebrated Dashain together before, this was the first time that Tri gave me tika. Husbands usually give their wives tika, but it’s never the other way around. I feel a little bit ambivalent about the patriarchal tradition, but nonetheless, I am very happy to get a blessing from my husband.